The 2017 Atlanta Science Festival blasts off on Tuesday, March 14 with a talk by Captain Mark Kelly – commander of Space Shuttle Endeavour’s final mission – at 7 pm in Emory’s Glenn Memorial Auditorium. Starting at 5:30 pm, during the countdown to Kelly’s talk, the public is invited to join toy rocket launching activities on the Glenn Memorial lawn, led by members of the Georgia Tech Ramblin’ Rocket Club and the Institute of Electronic and Electrical Engineers. 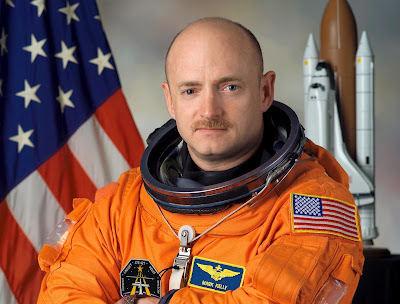 Kelly, who began his NASA career in 1996, commanded the Space Shuttle Discovery, as well as the Endeavour. He left the astronaut corps in the summer of 2011 to help his wife, former U.S. Congresswoman Gabrielle Giffords, recover from gunshot wounds she received in an assassination attempt on her life. The couple’s story captivated the nation, and they went on to found Americans for Responsible Solutions to advocate for gun control. New at the festival this year will be an appearance by New York rap artist Baba Brinkman. He will perform “Rap Guide to Climate Chaos” at 1:30 on Saturday, March 18 at the Drew Charter School. Also new this year is “The Art and Science of Cooking with Insects,” featuring free tastings, at 7:30 pm on Thursday, March 23 at Manuels Tavern. About 20,000 visitors are expected for the festival’s culminating event, the Exploration Expo, from 11 am to 4 pm on Saturday, March 25 at Centennial Olympic Park. Around 100 interactive exhibits will delight curious minds of all ages, from Emory chemist’s Doug Mulford’s “Ping Pong Big Bang” to the immersive Google Village experience. Leading sponsors of this year’s Atlanta Science Festival include Emory, Georgia Tech, the Metro Atlanta Chamber, Delta Airlines and Google.